ICON. Superstar. Legend. Three words that have been used to describe departed Zimbabwe music icon Oliver Mtukudzi. Mtukudzi thoroughly deserved the accolade. His almost four-decades long music career glittered at home and abroad. Zimbabwe was Oliver's country of birth, Africa was his home, and the world was his stage. He took his act to the cities of the world, such as San Francisco, Copenhagen, New York, and dazzled. To the world, he was Superstar Oliver Mtukudzi. At home, he was simply Tuku, Samanyanga (his totem), or just Oliver. Or even Mukosori, because of his typical cough that accompanied virtually all his songs. I am told he accidentally coughed during a recording and the producer let it go, and it became his trademark. Even mistakes turned into finesse with Tuku. Tuku's melodious voice, low toned and flowing, defined his music. His ability to sing, dance and play the guitar - on stage - made his shows really live. His combination with former band member and "twin brother" Piki Kasamba on stage and in the studio propelled the Blacks Unlimited to lofty heights. Their identically slim and tall statures, tight tighting attires, energetic and well-choreographed dances set them apart from the rest. The concordial female backing vocalists and dancers poured more flair and colour to the band. As did Tuku's cultured guitar, which the superstar had taught to bring mood and tempo to each song, as per the atmosphere of each hit. When he sang Zviwere, his voice evoked the mood, and the instruments buttressed it. HIV/Aids ravaged through Africa at the turn of the millenium, Tuku felt he should do something. His hit Todii/Senzenjani/What shall we do, delivered in his native Shona, in English and also the most spoken dialect in the SADC region, Zulu/Ndebele, ensured that his message was heard loud and clear at home, regionally and internationally, that something must be done about the pandemic. No doubt Oliver became an international ambassador for the UN itself, and was honoured at home and abroad. He was more than a musician. His character and profile defied the limited defination of a musician and entertainer. 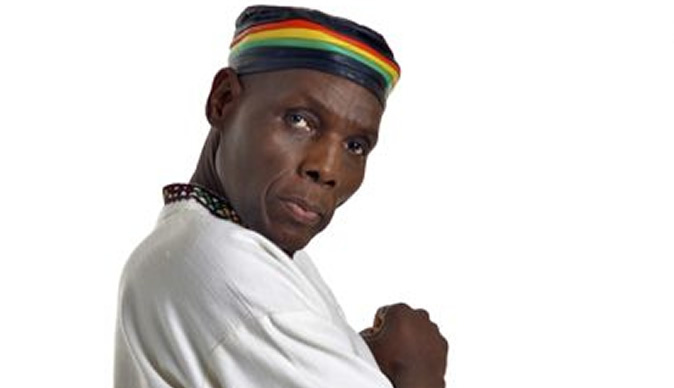 Tuku philosophised about everything serious, such as gender-based abuse, child marriages, sugar daddies, marital problems, financial problems, but still remained an entertainer. He had a piece for everyone, and for every occassion. He sang for the bereaved, the happy, the in-love, the betrayed, the wishful, like the guy who went huntung for a rhino horn and elephant tusk to give to his prospective father-in-law for lobola. He sang for the joyous, and his tune Makorokoto spiced up graduation ceremonies and sent graduands and parents into derilium whenever it was played. He had time for romance and love. Tuku's tune Shamiso, ndichakutengera patapata, proved you dont have to be complicated to achieve complication as a musician or to buy an aeroplane for your fiancè to be romantic. It is one's musical genius that makes good music, and a partner's genuine love that make tperfect romance. Shamiso was executed with the mastery of a veteran and the skill of a connoisseur. The song continues to grace virtually every wedding or love ceremony in Zimbabwe. Tuku was indeed a cultural icon, a world changer, and true superstar and legend. Tuku the man may not have been perfect, but Tuku Music remains perfect and enduring. It is his gift to the world. Let the world enjoy it as it mourns him.